After tearing through a handful of roller-coaster fantasy novels, including the Mur Lafferty one I wrote about recently and the first Terry Pratchett novel I’ve read in years I felt in need of something a touch calmer. A moment of tranquility, before another fast paced hurtle though a different world. 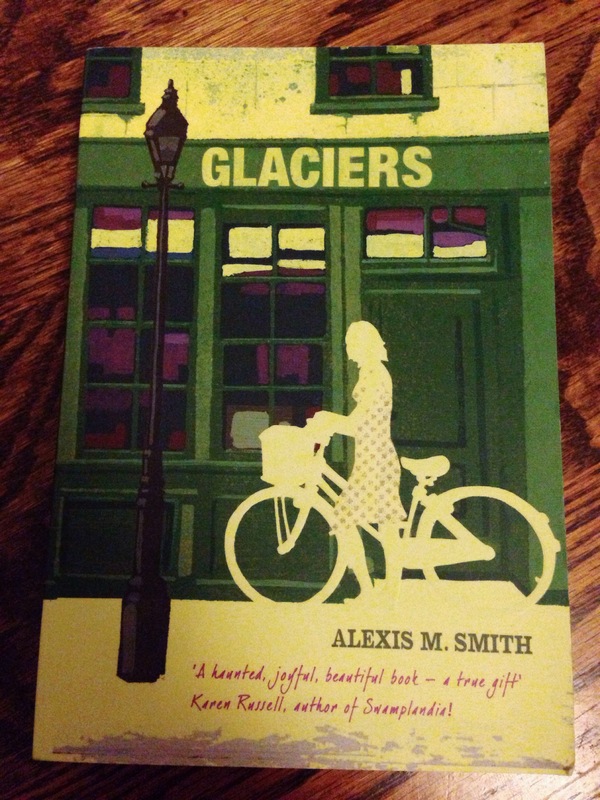 Enter Glaciers, written by Alexis M. Smith. I’d been bought this book as a gift a few months back, but not been in the right frame of mind to read it. This time, it was exactly what I was looking for. Glaciers is a short, beautiful and somewhat melancholy book based on a day in the life of Isabel, a book restorer who lives in Portland, Oregon. Each chapter is brief, with wistful, memory-laden references to Isabel’s own history interwoven with that of the postcards she collects and vintage clothing she wears. Lightness and humour are provided by her friendship with Leo, and the nearly-but-not-quite love with a soldier who is called back to battle leaves a bittersweet feeling and a lingering wonder about what could have been and indeed, what still might be. As a debut novel, I think it’s incredibly accomplished, with the beautifully drawn character of Isabel being someone you care for right from the start. It’s a quick read, but one that stays on your mind long after the last page has been read. Beautiful and highly recommended. Have you read anything great recently? I’d love to hear your book recommendations! This sounds lovely 🙂 I will have to look it up. It’s a great little book, I hope you enjoy it too!